Before you can say "zucca"—the Italian word for a specific type of pumpkin similar to butternut squash—Ogden's Zucca Trattoria & Market (MyZucca.com) will be relocating. Zucca is my favorite Ogden restaurant, and when I heard it was moving, I was sort of hoping it would bring its terrific Italian fare closer to Salt Lake City. 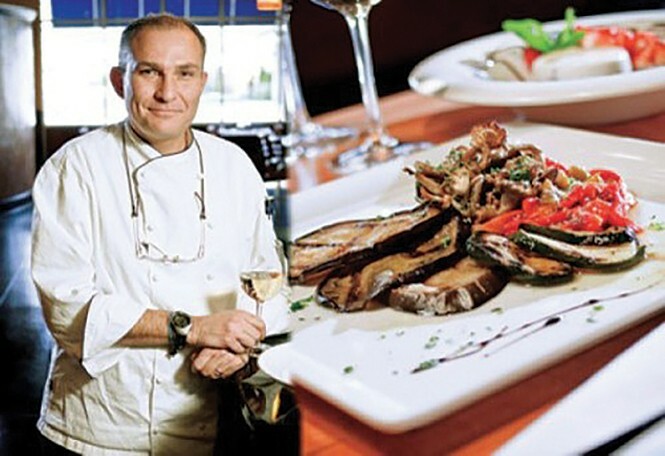 But the Ogdenites win: Zucca will be moving from its current location in South Ogden to 225 25th St. in downtown Ogden. Zucca closed its South Ogden restaurant near the end of June and will reopen in August. Stay tuned here for details. Pro & Amateur Cooks Unite! The Park City Culinary Institute (CulinarySchoolUtah.com), which offers a culinary education aimed at would-be professionals, is joining forces with Utah's premier cooking school for the home chef: Salt Lake Culinary Center (SaltLakeCulinaryCenter.com). Commenting on the partnership of the two culinary educational organizations, which will take place starting in January 2016, Park City Culinary Institute's director, Laurie Moldawer, said, "Combining recreational and professional training will take both programs to a higher level." Diane Sheya, director of Salt Lake Culinary Center added, "This opportunity will allow our facility, and us by association, to participate in the entire culinary spectrum; from home cooks to certified professionals." While Salt Lake Culinary Center caters primarily to the amateur home cook looking to up their kitchen game, Park City Culinary Institute offers an intensive certification program for professionals with a tuition of $6,495. Spitz, "the home of the döner kebab," is coming to Sugar House (1201 E. Wilmington Ave.). According to the owners, the new Sugar House location of Spitz—complete with a new patio area planned—is scheduled to open July 6.